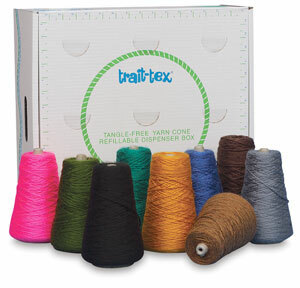 Designed for large group instruction in stitchery, applique, and weaving projects. 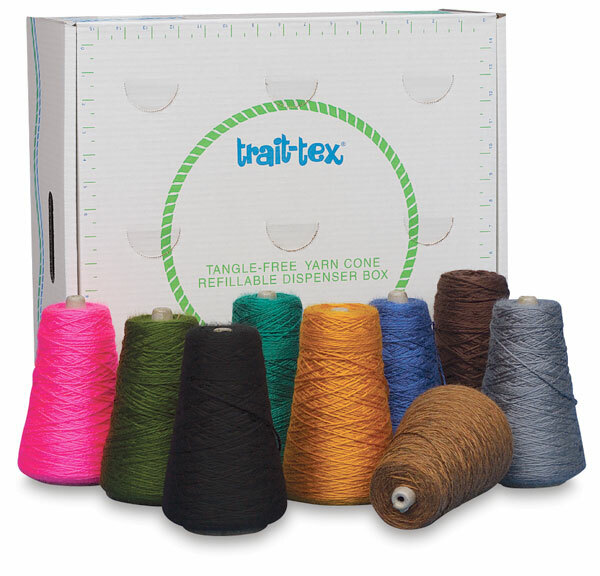 This 2-ply, 100% acrylic yarn is available in cones with 630 yards. This box contains 9 cones. Each cone contains 8 oz, 630 yds, for a total of total 5,670 yards. Colors include Gray, Blue-Violet, Yellow-Orange, Yellow-Green, Dark Green, Ochre, Turquoise, Pink, Light Brown.